A look at why Newfoundland has some of the healthiest bees in the world and a discussion with the president of the Newfoundland and Labrador Beekeeping Association on how they work to protect the bees in the province. Newfoundland has some of the healthiest bees in the world. And, although that may be surprising, it makes sense once you consider the logistics. Newfoundland is an island and is therefore secluded from any travelling pests and diseases that may be on the main land, so, until these are carried over, bees, or any other living thing, can live without the threat of these pests and diseases typically carried over by human actions. In addition to being pest and disease free, Newfoundlands has less agricultural development than other provinces so there’s less use of pesticides and herbicides. So, obviously Newfoundlands bee population is special and, with anything thats special, there needs to be protection to ensure its life and safety; thats where Catherine and the Newfoundland And Labrador Beekeeping Association comes in. Catherine is what you could call the ‘Queen Bee’ of the Newfoundland And Labrador Beekeeping Association. 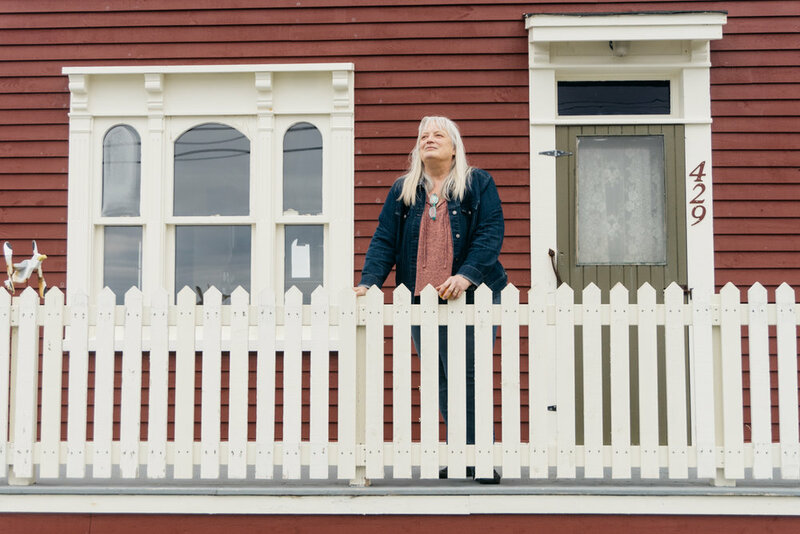 Being the president of the organization, Catherine’s passion towards bee keeping, especially in Newfoundland, is obvious as she explains the logistics throughout the province. Her understanding and focus of associations and non-profits shines through her years of experience working for a not-for-profit organization that worked on history and heritage of Newfoundland. The only difference now is, instead of history and heritage, she’s focused her energy on bees and beekeeping within the province. The windows in Catherines's beautiful heritage home. Catherine ultimately gained interest in bee keeping having initially never had a problem with insects or a fear of bees in general, but was primarily inspired by watching Queen Of The Sun and realizing, from that documentary, that beekeeping was definitely possible. She explained, “if people can keep bees on a rooftop in downtown Geneva, Switzerland or on top of the Royal York Hotel in Toronto, then I can keep bees. People weren't being fancy about it, they just had a hive slapped up against a wall, and it looked like it was possible! Maybe not easy, but definitely possible”. From there she found mudsongs.org where they explain, in detail, everything you need to build a hive and from that blog she had her husband build her first hive. Conveniently enough, her husband, being a skilled woodworker, succeeded in the project and with the help of another local beekeeper’s blog and some gifted beekeeping books found herself housing bees on her property after about a year’s period. Probably the association’s biggest task is ensuring that Newfoundland stays free of the pests and diseases taking over the main land. Throughout the main land pests such as varroa mite, tracheal mite, small hive beetle, and wax moth have all had an affect on the bee population, but not only are these diseases and parasites bad for any bee keeper, they're particularly bad in Newfoundland. As Catherine explains, “People have lost a huge number of hives on the main land, and if we got those parasites here, we wouldn't be able to face our horrible spring. 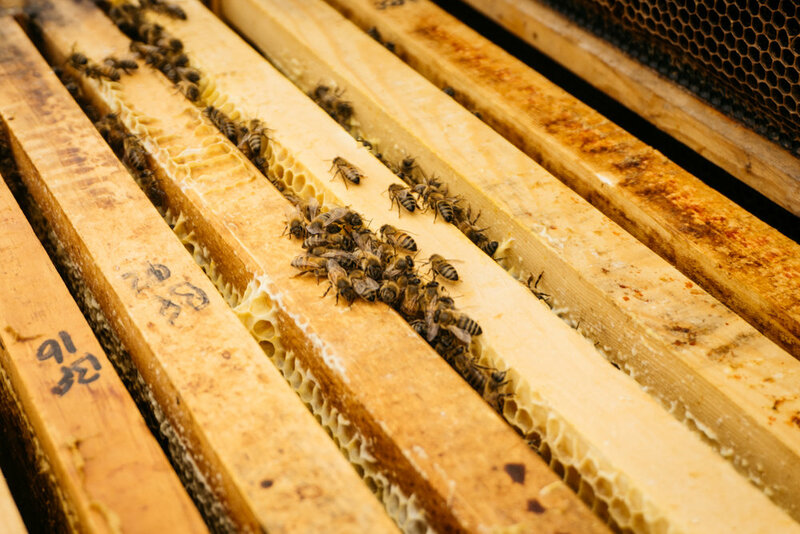 Our weather is way behind and we have an extra six weeks of ‘not spring’, which means we have six weeks less time for a hive to grow and collect and do well. So you really can't have the disease then.”. So, essentially if those diseases were to reach Newfoundland, beekeeping could almost be impossible to maintain. Although the actual number of members fluctuates, the association is growing and, at this point, “although the association is new, and most beekeepers only have a few hives, we seem to have a high percentage who join!”. So, obviously something is working. 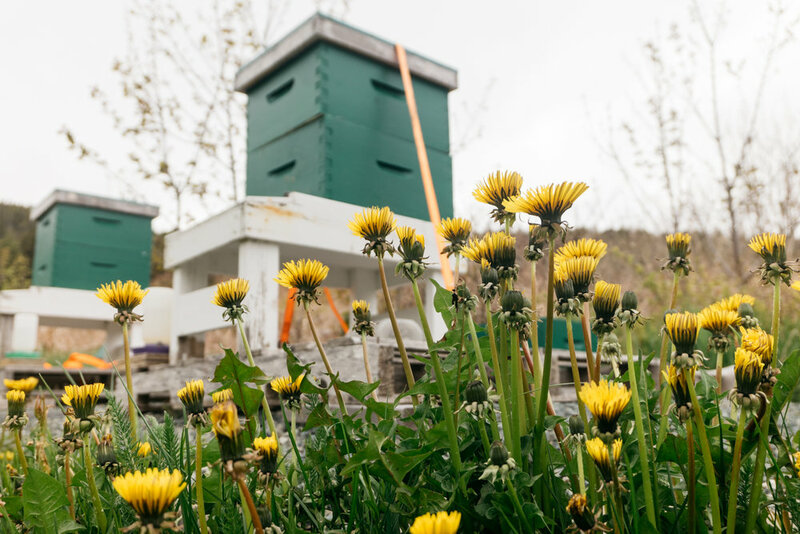 In addition to recent successful educations lectures, two recently released pamphlets, and continuous growth in hives across the province, they have also extended their efforts to educate on local ecosystems and the importance of native/wild pollinators. If interested in what your local native pollinators are there’s a wealth of information online but a great resource can be found HERE. Finally, for more information specifically on how to garden for local pollinators you can visit HERE.